The Falcon Hotel which was previously known as The Legacy Falcon Hotel is getting refurbished. A multi-million project to refurbish Stratford’s iconic Falcon Hotel has just started. 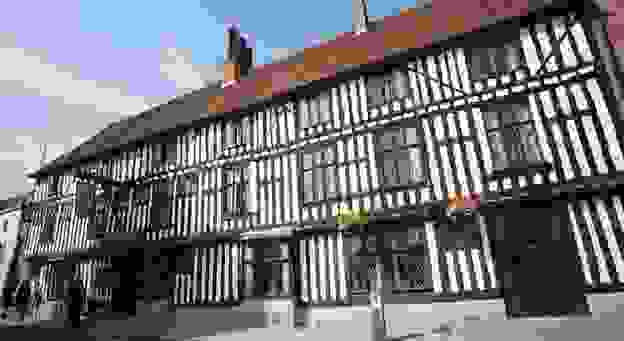 When the work is finished, the hotel will be re-branded as the Hotel Indigo Stratford upon Avon, though the owners have given reassurances that the Falcon name will live on. Whilst the hotel’s official name will change, the striking Falcon sign which hangs above the doorway will remain and the hotel restaurant will be named The Falcon. The refurbishment will see a new restaurant, bar and lounge created along with a new state of the art kitchen, gym, meeting room and air conditioning installed in rooms. The hotel will remain open throughout the refurbishment, with restricted access to certain areas, and will be officially relaunched next year. The Falcon Hotel is ideal for exploring everything magical about the bard including; Anne Hathaway’s Cottage, Nash’s House and Shakespeare’s birthplace itself, not forgetting the world famous Royal Shakespeare Company Theatre, which now offers backstage tours and the opportunity to view Stratford from the new observation tower – truly breath-taking! Using Stratford-upon-Avon as your base you can easily enjoy the beautiful Warwickshire countryside, along with the surrounding counties of Oxfordshire, Worcestershire and Gloucestershire including the picturesque Cotswolds. If you prefer to stay more local, take a gentle stroll to the river and enjoy a tranquil trip on one of the river cruises, visit the Butterfly Farm or Creaky Cauldron attractions. To learn more about Stratford upon Avon and its history take a guided town walk or the evening Ghost Walk! For those who wish to explore a little further, the splendid Warwick Castle, Drayton Manor Theme Park and Gaydon Motor Museum are all within easy reach. 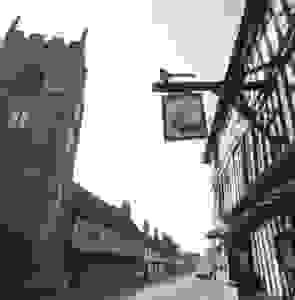 The Falcon Hotel can be booked on-line at Hotels-Fairy.com.